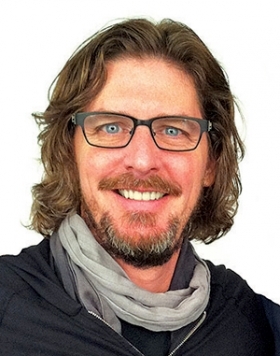 Flamboyant auto dealer Ernie Boch Jr. may finally be done with a long and ugly labor fight at Boch Honda in Norwood, Mass., near Boston. The store was found by the National Labor Relations Board last month to have unlawfully instituted policies that violated employee rights to comment on social media and wear union pins on the job. But while Boch, known for his zany commercials and big-volume vehicle sales, lost the battle, he ultimately won the war. The union that organized 25 mechanics and technicians at Boch Honda in November 2010 never got a contract. It was decertified about two years later. The NLRB ruling, which forced Boch Honda to admit its violations in a notice to employees this month, is just the final legal chapter in a union-organizing drive that ended long ago, said Mike Vartabedian, a Boston business representative for the Machinists union District Lodge 15. "Ernie Boch won by breaking the union and getting us out of there," said Vartabedian. He said the union has no plans to try to organize the store again or others owned by Boch. Attorneys for Boch did not return repeated calls for comment. The NLRB ruling last month was against Boch Imports, which does business as Boch Honda. The board found that the store had overly broad employment rules, potentially restricting the ability of employees to express themselves on social media, comment on how the store is operated and wear logos and pins, including those of unions. The 2-1 NLRB decision clarified a previous ruling by an administrative law judge in January 2014. As a result, Boch Honda had to notify employees this month that the NLRB had found it to have violated federal labor law and present a laundry list of actions it would no longer engage in. Specifically, the store declared that it would not prohibit employees from providing information about one another, interfere with social media postings, require employees to get management permission before talking to the media or prohibit employees with public contact from wearing pins and insignias. Many of those changes were codified in store handbook revisions in 2013 but not to the satisfaction of two of the three NLRB members who heard the case, documents from the case show. Jim Hendricks, a Chicago labor attorney who has represented employers against 300 union-organizing drives, said the NLRB keeps expanding the rights of employees to opine publicly about their employers through its interpretation of labor law. He said he has begun to question whether having an employee handbook at all guiding worker conduct is a good idea, given how the NLRB is flyspecking the books. Hendricks is a partner with Litchfield Cavo. Boch is a prominent auto dealer in the Northeast, with two Honda stores, two Toyota-Scion stores and a Ferrari and Maserati franchise. He also is Subaru's distributor for six New England states. His cartoonish ads, guitar collection and rock musicianship have added to his fame. In 2011, Boch's band, Ernie and the Automatics, opened concert dates for the legendary British rock band Deep Purple. Outside those concerts, workers from Boch Honda and other labor supporters picketed to raise awareness that Boch had not signed a contract with a new bargaining unit at the store. The store never would. After mechanics narrowly voted in a union election to be represented by the Machinists union in November 2010, the store and union negotiated for months without arriving at a deal. In June 2012, mechanics narrowly voted to decertify the union, in part because many union supporters in the initial organizing campaign had resigned from the store by then, Vartabedian said. In all, the union and some of the workers filed 30 NLRB complaints during that time, some of which led to monetary settlements for workers who the board found were improperly denied raises by the store or wrongly penalized for other actions, NLRB documents show. Steve Klansek collected $2,800 in back pay in October 2011 as part of the settlements. Klansek, at the time a master technician at Boch Honda, said last week that he was given a poor performance review and denied a $2-an-hour raise because of his union activity at the store. The NLRB required Boch Honda to pay him for the lost raise and provide the raise under the settlement. Klansek said he left Boch Honda a day after the decertification vote for fear that he would never return to a normal work life at the store. He said he now works as a mechanic in the Boston area in a nonautomotive job. Klansek said he initiated ties with the Machinists union in 2010 when Boch Honda switched to a schedule that required mechanics to work five consecutive Sundays every 10 weeks. "During the school year, you couldn't see your kids for five weeks at a time," he said. Vartabedian said the recent NLRB ruling was small consolation for the efforts mechanics made at Boch Honda to gain representation. "The people who lived that organizing drive were worried about their families and worried about being fired," Vartabedian said. "This is more justification that they were right to try to better their lives and working conditions."